We’re fortunate, business is good; the phone rings steady with new and returning customers ordering home inspections. Many of these callers are from northern states tired of shoveling snow and intent on moving a little closer to the sun. Most of them have never heard of a wind mitigation inspection but their attention is captured when they hear that they can save as much as 45% on their home owner’s policy if their home has certain wind storm damage mitigating features. In August of 1992 Hurricane Andrew, a category 5 Atlantic storm, revealed that building standards in Florida weren’t strong enough to stand up to a major hurricane. 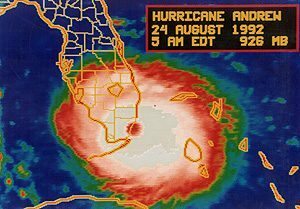 Andrew caused damage in the Bahamas and in Louisiana but its full fury was reserved for South Florida and the town of Homestead. The storm killed 65 people, destroyed 63,000 houses and damaged 125,000 more. It caused 26 billion dollars in damage. Andrew is still the most destructive hurricane to ever hit the State. In the aftermath of Andrew, many insurance companies went bankrupt; unable to cover the massive losses incurred from the storm. Insurance premiums went up across the State and many companies stopped writing policies that they deemed risky. Almost a million coastal home owners in Florida were unable to find coverage. The State of Florida responded by creating two public insurance companies which later became Citizens Property Insurance Corporation (Citizens) and by strengthening the building code. In 2002 the Florida Building Code (FBC) went into effect. The wind mitigation inspection, or wind mit, evaluates several features of the home to include the roof shape, roof decking attachment, roof to wall attachment and the impact resistance of openings like windows and doors. Insurance companies in Florida are required to give customers discounts for homes that that have these wind mitigating features. At Florida Property Detectives, we start our inspection by measuring the roof perimeter to determine the roof shape. The best shaped roof to withstand wind pressure is called a hip roof. A hip roof is characterized by the roof sloping toward the ground in all directions. A hip roof is one where you could install gutters around the entire perimeter of the roof if you wanted to. This is in contrast to a gable roof where two walls are exposed all the way to the roof ridge, like an A frame. If a gable roof is not properly built, wind pressure can blow the sides in, compromising the entire structure. Hip roofs, by comparison, receive 40% less wind pressure than gable roofs, making them sturdier and more likely to withstand hurricane force winds. 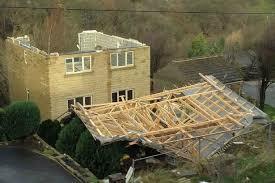 High winds don’t just blow the roof sides in but can also pull your roof off. This can happen in two ways, the roof decking boards can be blown off of the trusses or the trusses can pull away from the walls. Either way, if that happens the entire structure and all its contents can be ruined. To help prevent that, the FBC has established standards that help keep the roof in place. 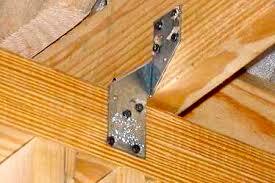 First, hurricane clips or straps are used to fasten the roof trusses to the wall. These significantly increase the strength of the roof to wall attachment. In the past, this connection would be made by driving several nails at an angle through the truss and into the wall’s top plate. Hurricane clips are nailed to the top plate and to the truss and increase the strength of the connection considerably. 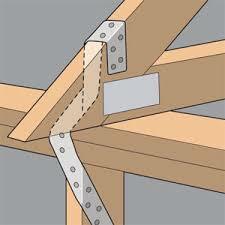 Better yet are straps that wrap over the top of the truss and are secured to the top plate by nails or by embedding the strap into the concrete bond beam. 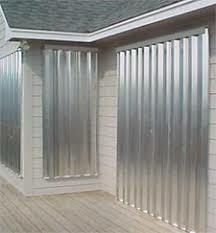 You will receive significant insurance premium savings if you have hurricane clips or straps. The roof is also vulnerable where the decking attaches to the truss. On most newer roofs, the decking that the roof covering is attached to is the plywood or oriented strand board (OSB). If the covering is asphalt shingles and they blow off, the decking is the last barrier in place to protect your home. It’s important to know that it has been installed correctly. It should be attached with 2.5 inch 8d nails driven in every six inches. Opening protection is also important. Hurricane winds create wind borne debris that can be sent through unprotected windows and doors. When this opening is created the wind pressure is increased inside of your home and can lift the roof off the structure if it is not installed correctly or if the force is great enough. Insurance companies give discounts to home owners who have hurricane shutters ready to cover all openings if a storm is looming. 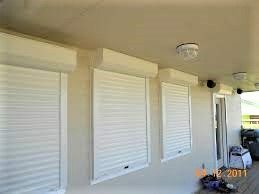 These shutters can be metal panels that are bolted in place prior to a storm, they can be certain plywood that is pre-cut, drilled and labeled for each window, and they can be certain types of windows and doors that are built to withstand cyclic pressure and wind borne debris impact. Insurance premium savings will vary depending on the wind mitigating features that your home has, where it’s located and what insurance company you use. If your Florida home has been built after the FBC went into effect, you may save hundreds of dollars each year; more than enough to cover the cost of an inspection. Talk to your insurance agent to find out how much you can save and make sure that your home is ready for the next big storm.